Born on April 3, 1896 in Spencer, Indiana. Commissioned from Annapolis in 1919. 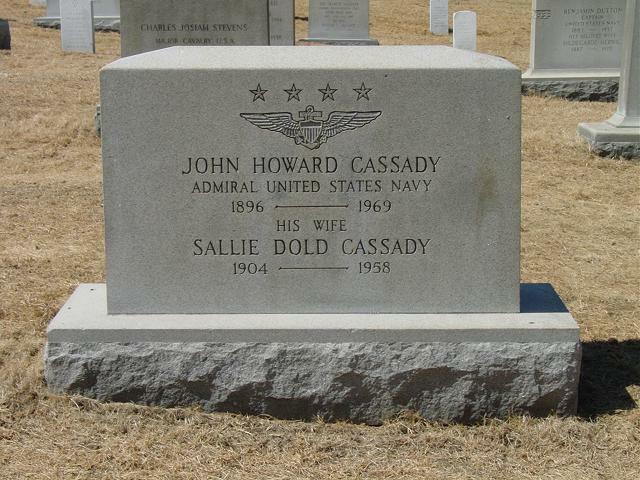 Designated a Naval Aviator in 1928. Assistant Naval Attache in Rome 1937-1939. Operations Officer on the staff of the Commander of Aircraft, Atlantic Fleet 1940-1941. Chief of Staff to the Commander of the Operational Training Command at Jacksonville 1941-1942. Commanding Officer of the Saratoga 1943-1944. Rear Admiral in August 1943. Assistant Deputy Chief of Staff of Naval Operations for Air 1944-1945. Commander of Carrier Division Four, Atlantic Fleet 1945-1946. Assignments after the war included Deputy Chief of Naval Operations (Air) January 1950-May 1952, Commander of Sixth Fleet 1952-1954 and Commander in Chief Naval Forces Eastern Atlantic and Mediterranean 1954-1956. Retired as Admiral in May 1956. Decorations included three Legions of Merit. Died on January 25, 1969. Posted: 26 June 2007 Updated: 11 November 2007 .